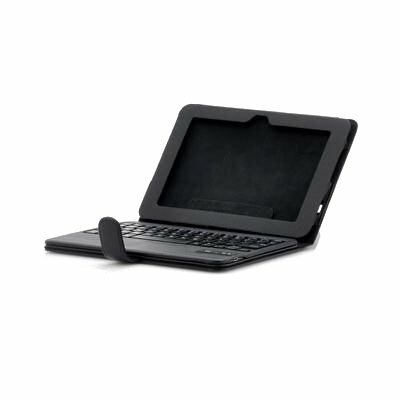 Successfully Added Bluetooth Keyboard Case for Kindle Fire HD 8.9 to your Shopping Cart. Bluetooth Keyboard case designed for the Kindle Fire HD 8.9 Inch prevents damage that may occur such as scratches and bumps as well as allowing you to type via the built-in bluetooth QWERTY keyboard. 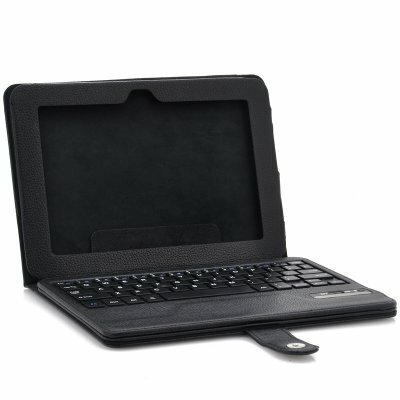 This black stylish leather Bluetooth keyboard Kindle Fire HD 8.9 Inch case features a conveniently sized removable keyboard, allowing you to either type up close or up to a distance of 10 meters. The reliable and responsive Bluetooth connection enables it to work up to 10 feet from your Kindle Fire HD 8.9 Inch. With a well designed flip stand build in, this leather case rests easily on any surface, giving you the ideal viewing angle to use your device. The leather design is not only ethical but contemporary as well fitting nicely when visiting Starbucks or in the office alike. Its build in 450mAh battery allows for up to a staggering 120 hours of use, so it is ideal for travelling or when you are not conveniently located to a plug socket. Simply slide your Kindle Fire HD 8.9 Inch into the case, turn on the wireless keyboard, sync your Kindle Fire HD 8.9 Inch with the Bluetooth keyboard, the whole package will look and work just like a notebook. Great gift for someone and a highly sought after reseller items, get it direct from our web store to you-Chinavasion, the one stop shop for tablet accessories and quality electronics. Available in our warehouse now, add it to cart now and we'll express ship it out tomorrow.